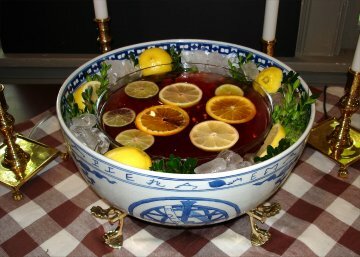 Here are variety of links to recipes for festive Christmas drinks, some dating back centuries. Those marked with an (A) contain alcohol. Peppermint Hot Chocolate (for a "happy" version, hold the peppermint oil and substitute peppermint Schnapps; for a "quick and dirty" version use instant cocoa, garnish with canned whipped cream and shaved bittersweet chocolate).